Professor Anthony Elliott is Dean of External Engagement at the University of South Australia, where he is based in the External Engagement and Strategic Projects Portfolio in Chancellery. He is also Executive Director of the Hawke EU Jean Monnet Centre of Excellence at UniSA, and Research Professor of Sociology in the Division of Education, Arts and Social Sciences. He is Super-Global Professor of Sociology (Visiting) at Keio University, Japan, and Visiting Professor of Sociology at UCD, Ireland. Professor Elliott is a Fellow of the Academy of the Social Sciences in Australia, a Fellow of the Cambridge Commonwealth Trust, and a member of King’s College, Cambridge. His current research in social theory address artificial intelligence, Industry 4.0, advanced robotics and accelerating automation in the context of global transformations. Professor Elliott leads an international, interdisciplinary team, with current grant funding from, among other agencies, the Australian Research Council, the European Commission, the Toyota Foundation, the Australia-Japan Foundation, and the Japan Foundation. As Executive Director of the Hawke EU Jean Monnet Centre of Excellence, he also leads a prestigious global Jean Monnet Network, bringing together a consortium of distinguished researchers from universities across Australia, Germany, Denmark, Estonia, New Zealand and Japan to examine the impact of driverless vehicles on society. Anthony Elliott was born in Australia and holds a BA Honours degree from the University of Melbourne and a PhD from Cambridge University, where he was supervised by Lord Anthony Giddens, architect of Third Way progressive politics. Professor Elliott was formerly Director of the Hawke Research Institute at UniSA (2012-2016), Associate Deputy Vice-Chancellor (Research) and Head of the Department of Sociology at Flinders University (2006-2012), and Professor of Sociology at the University of Kent at Canterbury, UK (2004-2006). Professor Elliott is a prominent social theorist, sociologist and public intellectual. He is the author and editor of some 40 books, which have been translated or are forthcoming in over a dozen languages. His books include Social Theory and Psychoanalysis in Transition, Psychoanalytic Theory: An Introduction, Subject To Ourselves, The Mourning of John Lennon, Critical Visions, Social Theory Since Freud, The New Individualism (with Charles Lemert), Making The Cut: How Cosmetic Surgery is Transforming Our Lives, Mobile Lives (with John Urry), On Society (with Bryan S. Turner), Contemporary Social Theory: An Introduction, Reinvention and Identity Troubles. He is best known for Concepts of the Self, which has been in continuous print for over 20 years and across three editions. His new book The Culture of AI will be published by Routledge in 2019. In 2014, Elliott was Visiting Fellow at the Long Room Hub, Trinity College Dublin. In 2015, he was Visiting Professor at the Universite Pantheon Assas, Paris II. 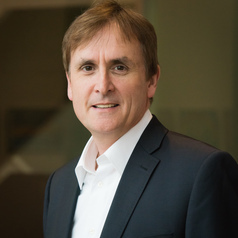 Professor Elliott is strongly interested in shared leadership principles and has completed an executive leadership course at the Judge Business School, Cambridge University in 2014.